Welcome to Burswood Car Rentals Perth! Car hire in Perth at the best value for money. Take advantage of our year-round daily and weekly specials and choose from a wide range of modern small, medium and large rental cars for hire. We pride ourselves on offering the most adorable car hire deals to all domestic and international visitors who seek out Perth’s natural beauty and endless sunshine. Although we are the most affordable car rental in Perth, we still offer the same modern, clean and high-quality rental cards as other leading hire car companies. Our affordable and competitive rates, along with other extras, are guaranteed. None of our cars have rental stickers on them, rental stickers definitely attract thieves, no stickers less risk. We are right next door to the Crown Resort Casino and just minutes from all Perth Airports, making hiring and collection a car as relaxing as your holiday. At Burswood Car Rentals, we guarantee that you will have fast access to a wide range of quality small, medium and large hire cars at the most competitive rates in the industry, and with our Metro Pick Up service, we’ll even drop you back at your hotel when you return the keys. We offer the same modern rental cars as other leading hire car companies in Perth, only more affordable! All our utes are the latest models and serviced regularly to give you total confidence! Check out our latest specials, that will save you money! Great company to hire from, excellent service and the cars were beautiful. No Hidden Fees - The price you see is the price that you pay. At Burswood Car Rentals, we never charge you hidden fees. We simply offer great value car rentals at very competitive rates. Low Damage Excess - Our car hire excess is extremely affordable. We want our customers to have peace of mind knowing what you're getting beforehand and paying lower premiums. 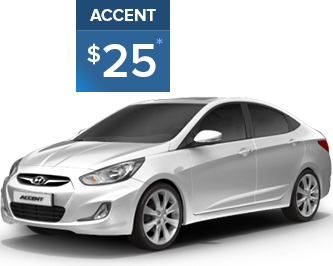 Cheapest Car Rental Rates - We offer one of the best rates on hire cars in Perth. To top it all off, we also have a price match promise you can be sure you're getting the best car rental deal. Free Roadside Assistance - All our cars hired in Perth are covered by RAC Roadside assistance. This means in the unlikely event you get stuck, we do our best to get you back on your way. Free Delivery - You can pick up your car from our Perth depot, or we can also arrange for you to collect it from any Perth airport or hotel with 20km, if that suits you better. How convenient!